I took some time to play with the gorgeous Gummiapan- Apple Box die. 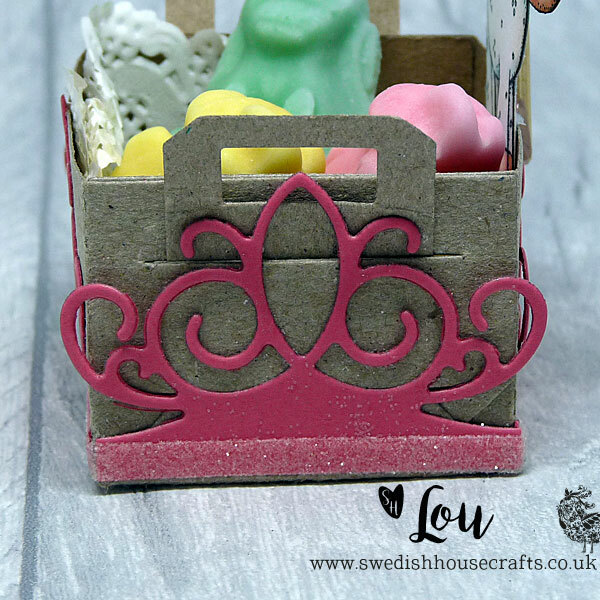 It really is the perfect little die for making super sweet little favour boxes for parties and it is so quick to put together too. The best thing is that you don't need any glue to put it together (...which is even quicker because you don't have to allow glue drying time!). The little handles simply tuck through the two slits that are in the side when you assemble the box. 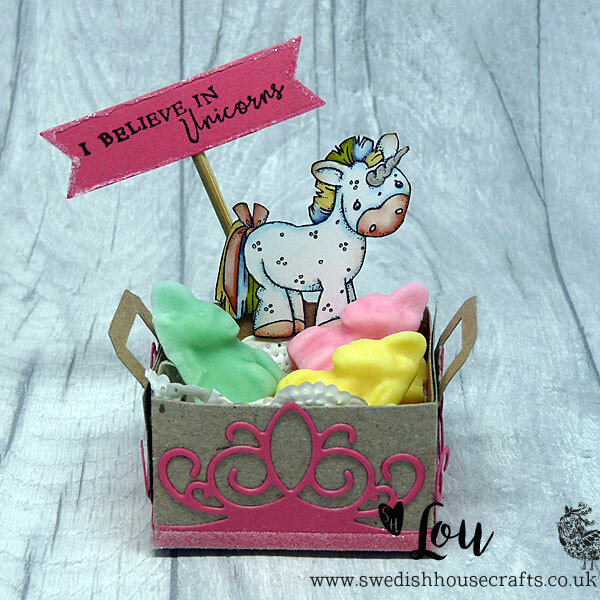 I used Crafters Companion Neenah Desert Storm cardstock to make my little box, it looks so sweet in kraft coloured paper. My top tip with this die, once it is cut, is to fold every scoreline both ways before you start to put it together because it makes it so much easier to fold around. Also, take a second or two to gently roll each handle around a pen so that they are easy to manoeuvre into the slits. Now, onto that cute little Magnolia- I Believe in Unicorns stamp and text.! oh my! it is the sweetest! I stamped the text onto pink cardstock from my stash and then cut it out using a fishtail die, also from my stash, but I know that Suha has some gorgeous Gummiapan Stitched Banners in the shop. I adhered my little banner onto a wooden kebab skewer and cut it to size, hot gluing it onto the back of the box. 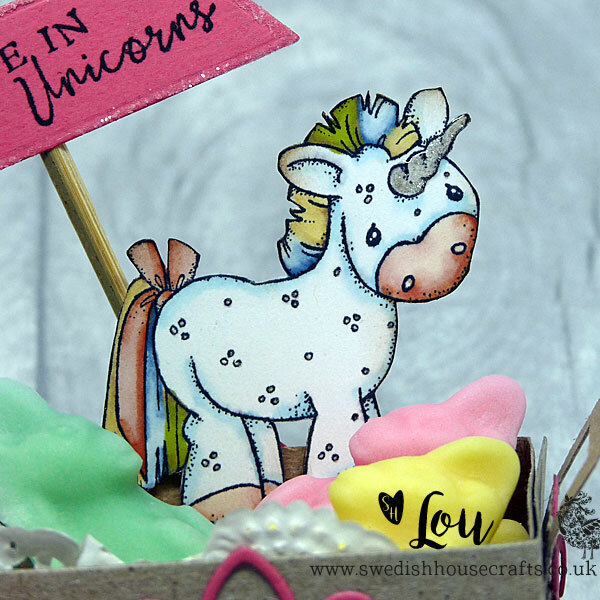 Then it was time to stamp and fussy cut the little unicorn. I used Tsukineko Memento Tuxedo Black ink. It is perfect for me because I colour with promarkers which are alcohol based pens. I also added a little bit of glitter pen and glossy accents to the horn to make it 'pop' a little! it looks so sweet. I hot glued her to the inside of my box. And not forgetting my beautiful little Roxstamps- Curlicue Edge Decor on the sides of my Apple Box. It is such a beautiful die. I cut four of the edge and then cut each edge to size, gluing it onto my little box. To get the little glittery strip all the way around I just attached a strip of thin double-sided tape all the way around the box and then dipped it down into some fine glitter from my stash. 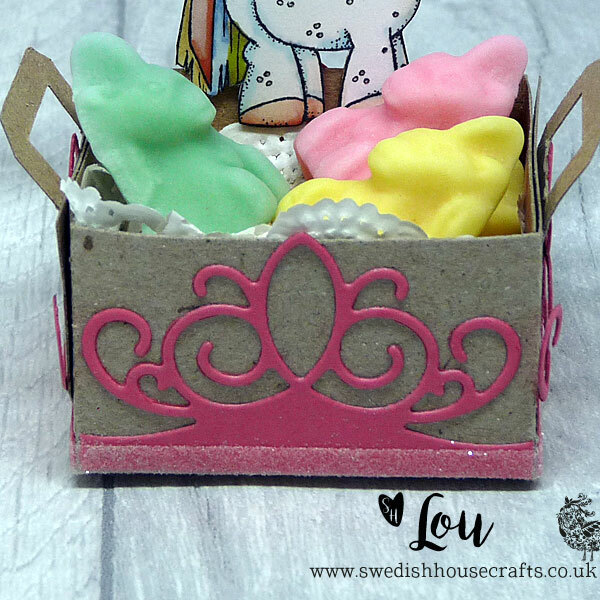 Then I tucked a little paper doily from my stash into the box and filled it with yummy little foam Unicorn sweeties from the supermarket!! Magnolia- I Believe in Unicorns stamp and text. Crafters Companion Neenah Desert Storm cardstock. Tsukineko Memento Tuxedo Black ink. And, more excitingly, as you know Suha is having a wonderful celebration during the month of June. 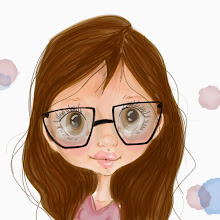 Please pop in on Suha’s post HERE for a video where she explains all about it. Everyone is invited to join the party, we are all being celebrated no matter what you make. And even more special is that Suha would love for you to share your makes with us so she and us DT peeps can pop in and see your wonderful creations. 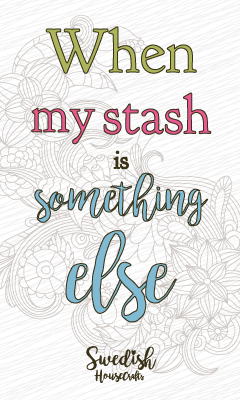 All you need to do is write a short post with your make and then link on the post here so we can come visit you. I cannot wait to pop in on you all! !